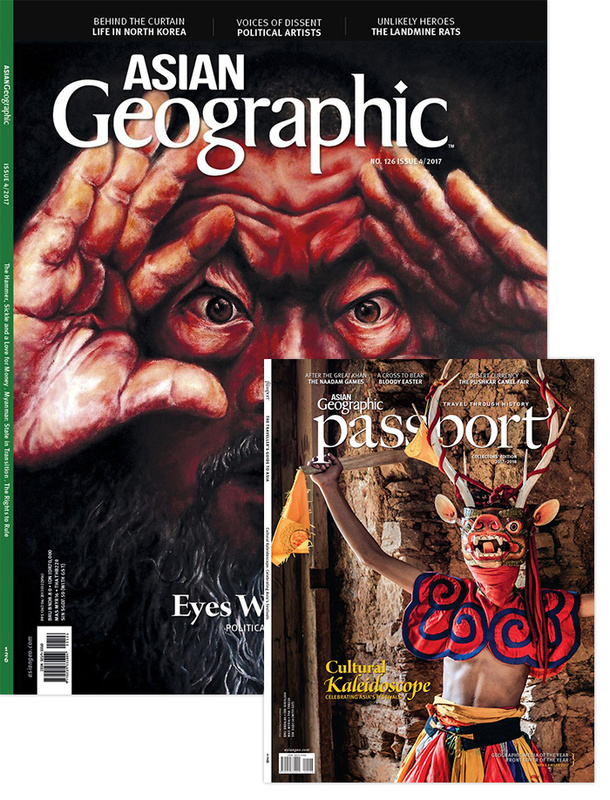 ASIAN Geographic scours the region to bring readers the most compelling stories and images from the world’s largest and most diverse continent. 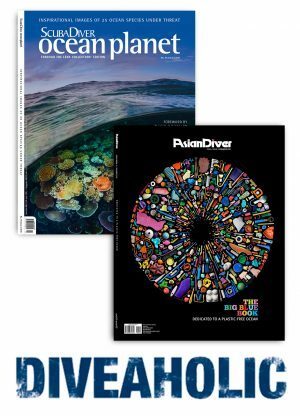 Enjoy a unique melting pot of breathtaking photography and in-depth features covering culture, nature, sustainability issues and exploration into the history of this diverse region. A regular ‘Exploration’ segment follows brave field editors as they travel deep into Asia’s unexplored regions to take readers on a journey. Subscribe and save 15% off the newsstand price! (includes free access to the digital magazine). 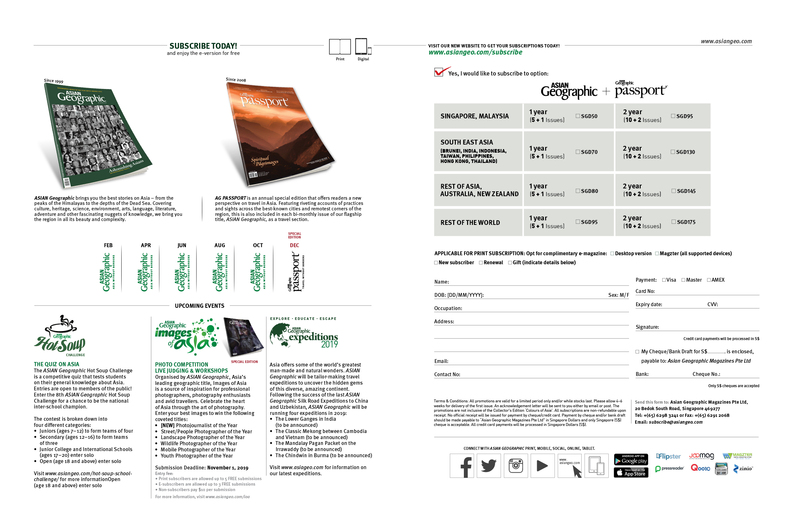 Receive Asian Geographic’s special annual travel edition ‘PASSPORT’ when you subscribe. This is a quarterly magazine, with 5 (five) issues per annual subscription which includes our special ‘Expeditions Edition’ in May, and 6 (six) issues in total when including the free annual issue ‘Passport’, which will be sent to all subscribers. Postage costs are included within the subscription price. Ensure you select the correct drop-down option below for your address. Postage costs are included within the subscription price. Ensure you select the correct drop-down option below for your address. Please allow 4–6 weeks for delivery of the first issue. An acknowledgement letter will be sent to you either by email or post. All subscriptions are non-refundable upon receipt. No official receipt will be issued for payment by credit card. All credit card payments will be processed in Singapore Dollars (S$).